Officials at the contract signing ceremony. 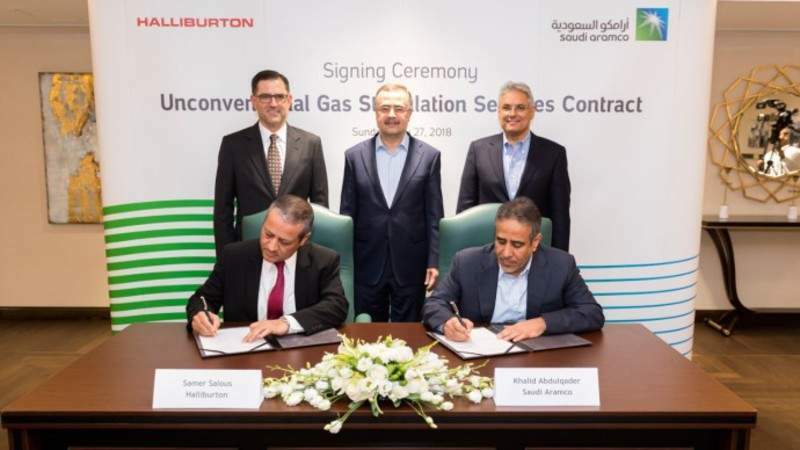 Credit: Saudi Arabian Oil Co.
Saudi Aramco has awarded a contract to US-based Halliburton to assist in the search for unconventional gas in the Kingdom of Saudi Arabia. The unconventional gas stimulation services contract is aimed at further improving the economics of Aramco’s unconventional resources programme, which covers three areas of Saudi Arabia in North Arabia, South Ghawar, and Jafurah/Rub’ Al-Khali. 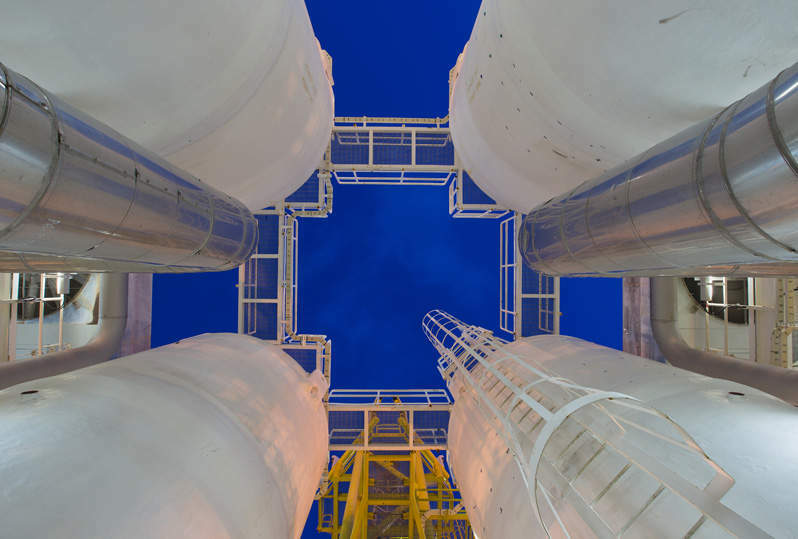 Saudi Aramco noted that the contract is in line with its pursuit of unconventional gas to meet domestic demand, offset local crude burning and supply feedstock to support the development of chemical industry. The company is also focused on supporting regional economic development consistent with Vision 2030, the Kingdom’s national transformation programme. Under the contract, Halliburton is required to provide lump-sum turnkey stimulation services, including hydraulic fracturing and well intervention operations. Saudi Aramco president and CEO Amin Nasser said: “Over the past three years, Saudi Aramco has made great strides in developing our unconventional resources programme, with emphasis on unconventional gas as an important clean energy source for the Kingdom’s future. The three-year contract will see Halliburton provide project management, hydraulic fracturing, coiled tubing, wireline and perforating, completion tools and testing services. The contract will also offer support to Saudi Aramco’s In Kingdom Total Value Add Programme that seeks to localise jobs in the country and utilise local suppliers.